Rise above your competition. 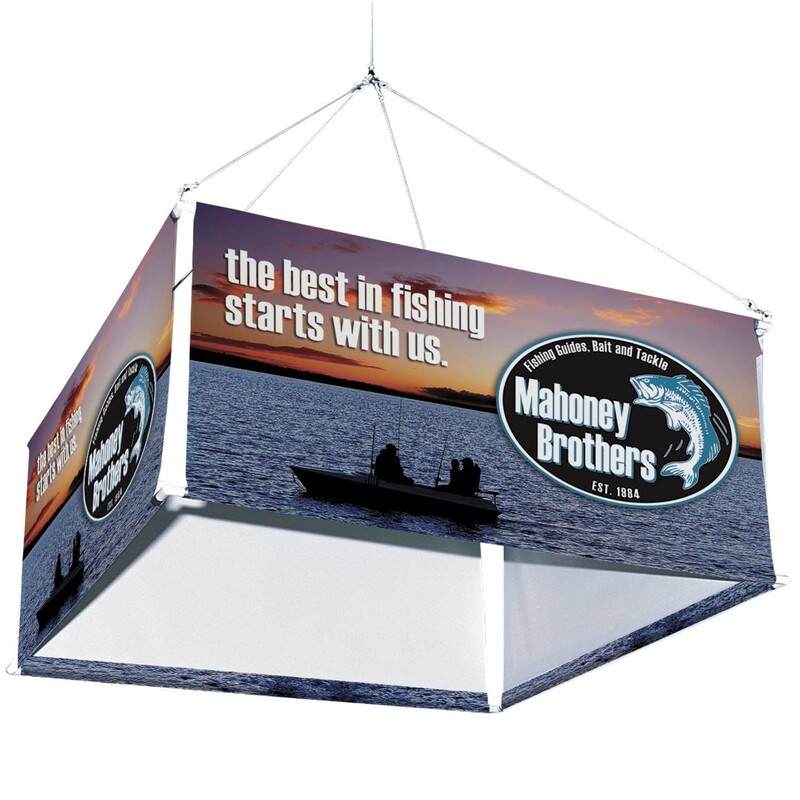 Ideal for tradeshows, lobbies, retail "BIG BOX" settings. Assembly is a snap with durable steel frame construction. Digitally printed on high quality 13 oz. vinyl with solvent-based inks. Important accessory for Hanging Banner Displays. Not recommended for weights over 200 lbs.